A time to conserve - a time to consume. 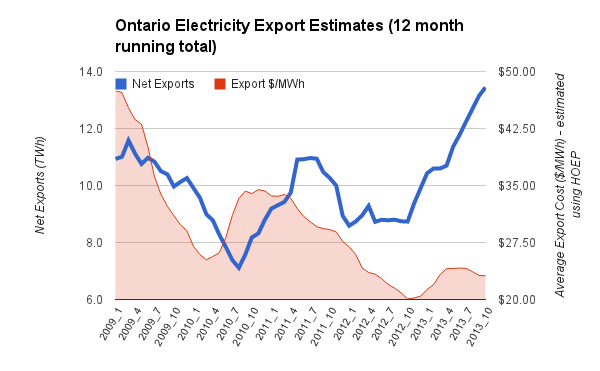 As the clock struck midnight with the arrival of November, my hourly rate for electricity went up 7.5%, while the rate for export customers was around 1/10th of the residential rate in Ontario, and over 20% of Ontario's generation was being gifted away at those low, low prices. The current Premier would appear to be trying to take a page out of her predecessor's book of wisdom (a page with 10 words), as her administration seems to have turned the entire public service to promoting "conservation" regardless of the circumstance (abundance). In a simpleton's world of good and bad, conservation is portrayed as the very best regardless. Conservation may be, but the conservation the government's agencies are spending their time, and our money, promoting won't conserve energy this winter. Count em' up: how many non-essential appliances do you have plugged in? Chargers for cellphones, laptops and other personal devices draw #phantompower. Unplug them when you’re not charging. Regardless of the moral righteousness of conservation programming in general, I got the feeling Ministry wasn't really aware of how phantom power wastes "energy". @OntMinEnergy If you had to pick the worst time of year to address phantom power, would it not be the now - as heating season starts? The "phantom" electricity produces heat, and we, in Ontario, are now entering 6 months of heating. Energy won't be conserved by unplugging your toaster; electricity will be conserved and, in most houses, it will be replaced with natural gas heating (or oil ... or propane ...). Meh... It's a ministry and political games are expected. But why would the nominally independent provincially owned utility, Hydro One, participate in this nonsense? Unplug battery chargers as soon as the device is fully charged or when the charger is not being used. Plug all electronics into a power bar that can be easily switched off when the electronics are not being used. The easiest way to eliminate standby power loss is to unplug electronic devices when they are not in use. Appliances still draw power when turned off but plugged in. Hydro One is selling gas - because government requires them to do so. Ontario provides power to those over 1.25 million foreign homes at prices stuck well below 3 cents per kilowatt hour ($30/MWh), which is the price the Ontario Power Authority (OPA) claimed it had been spending on conservation. 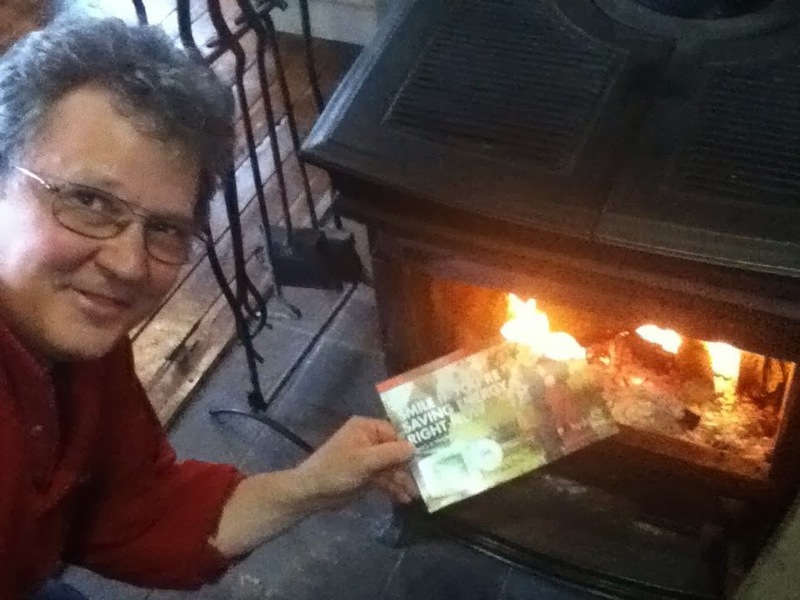 As I do most months, I again received an advertisement from my utility, and the OPA, enticing the owners of central air conditioning (not me) to participate in peak-saver plus - a program that will provide the customer with a smartish home thermostat , so that the utility can curtail the electricity draw from your air conditioning when demand requires it. I'll end the post on a positive note. I can't participate in the program to relinquish control of power hogs I don't have, but I did use the program to reduce the use of other energy sources. "Smile if you're saving [electrical] energy right now"
 The Byrds took it from Pete Seeger who got it from the Bible. The "home" may not be the greatest unit of measurement - it's meant to be communicative because people supposedly can associate it better than the watt. When the Ontario government released Making Choices: Reviewing Ontario’s Long-Term Energy Plan, it included "Since 2005, Ontario has saved over 1,900 megawatts of power based on the actions of homeowners, business and industry . That is the equivalent of more than 600,000 homes being taken off the grid." The statement is problematic as Ontario hasn't intentionally accomplished that reduction, and based on 800 kWh per month (here), the number of homes is 1/3rd of what math would put it at (over 1.7 million). another chunk of it is due to extremely expensive "embedded" generation - because nobody in Ontario releases information on how much this largely solar component, it's reported as reduced demand, instead of reporting as increased, and extraodinarily expensive, production. Not the Nest product people want.